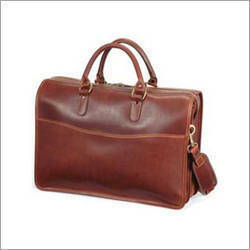 We are listed among one of the leading manufacturers, suppliers and exporters of Leather Portfolio Bags. These bags are available in various colours, designs, shapes and sizes to suit variegated demands of the clients. Also, we customize our range of bags according to the detailed specifications of the clients. These bags are very trendy in look and also are light in weight, which makes these highly popular among the clients. Looking for Leather Portfolio Bags ?